Precious Moments I Believe in Miracles (Baby Collection) #272469. 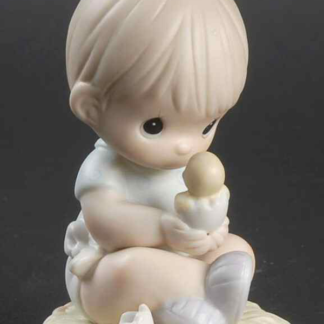 Precious Moments porcelain ornament of a baby boy holding a chick. Enesco Precious Moments I Believe in Miracles (Baby Collection) #272469. 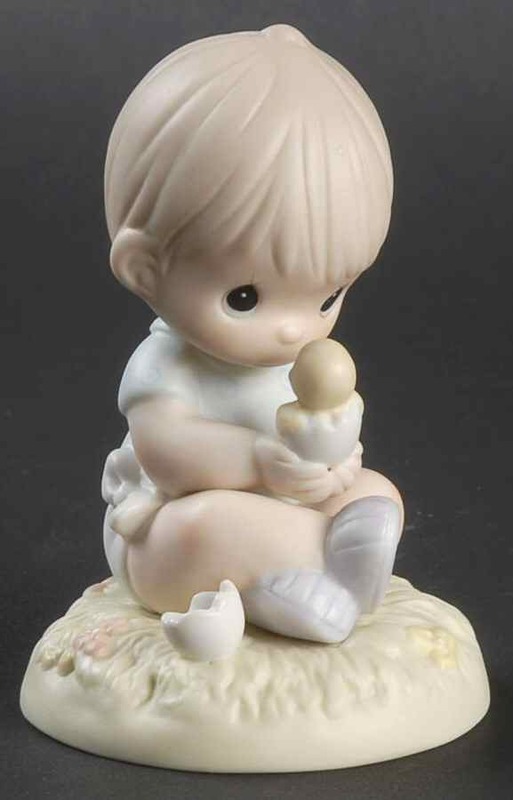 Precious Moments porcelain ornament of a baby boy holding a chick. Bisque porcelain figurine is expertly hand painted. 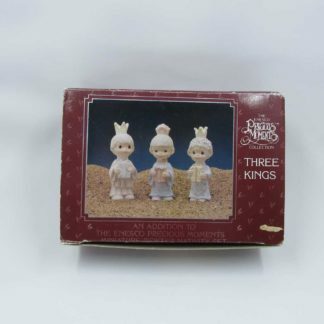 Measures approximately 3 1/2 inches high. Therefore only the finest quality that you have come to expect from Precious Moments! While a perfect gift for someone special it is also great for any Precious Moments collector! Stop by and get yours today!